If you are looking for the perfect side dish to your meal, you found it! 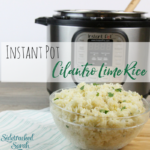 This Instant Pot Cilantro Lime Rice is sure to be a hit every time! 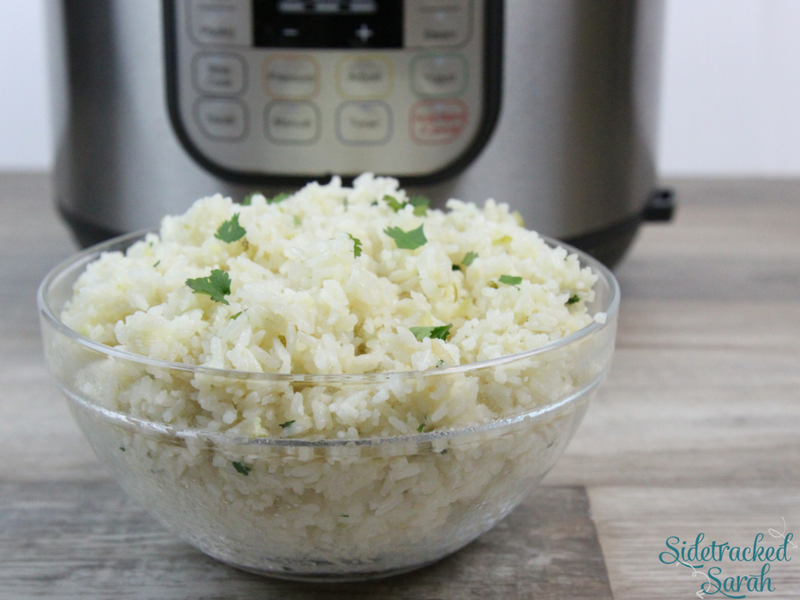 I used to be scared of making rice, that is, until I made it in my Instant Pot. When I made it on my stovetop, I always felt the need to hover over it, making sure it’s cooking well, not burning to the bottom, etc. But, now that I’ve gotten to know my Instant Pot well, I don’t have a fear in the world. I just throw the ingredients in and get it going. I don’t have to go back and check on it, because, whatever happens, while in that pot, is exactly what happens. It’s awesome! 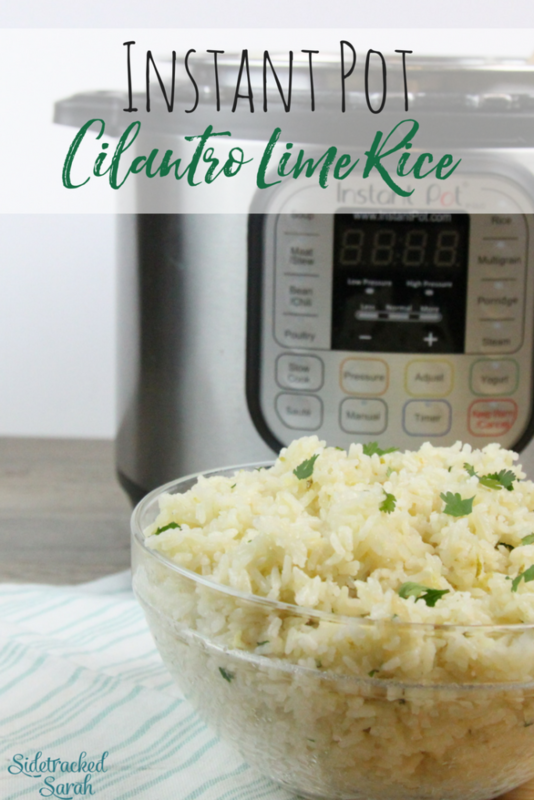 This Instant Pot Cilantro Lime Rice recipe is made with the zest from a lime, some lime juice, vegetable broth, and of course rice and cilantro. 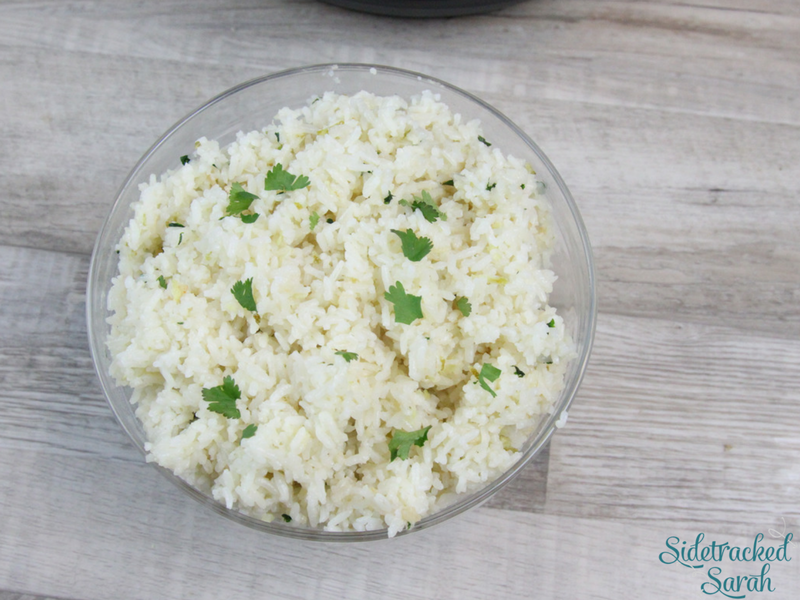 Instant Pot Cilantro Rice is the perfect side dish addition to any Mexican meal that you will be serving. Set the Instant Pot and forget it, making your job as cook an easy one! Place the vegetable broth, water, oil, 2 tablespoons of lime juice, and rice in the Instant Pot. Place lid on Instant Pot, lock it into place and push the “Manual” button. Push the + or - button, until it is set for 12 minutes. When the Instant Pot beeps to tell you that it is done, let it sit for 5 more minutes. After the 5 minutes are up, turn the quick release knob to vent. After all the steam has released and the valve has fallen back down, turn the lid to open and remove the lid. Fluff the rice with a fork. Add the remaining 4 tablespoons of lime juice, lime zest, chopped cilantro, and salt.